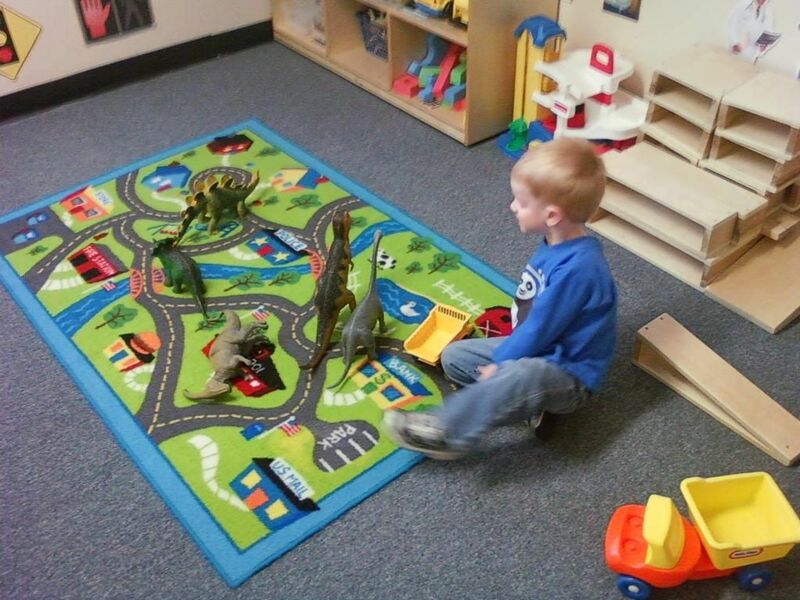 Well, Evan has been moved up into the "preschool" room at his school a little early because he was so ready. His teacher sends home a homework folder every night and a "library" book to read. We have to keep a log of the books he has read. The first night, he read a book about a dinosaur (how appropriate) that was learning to read (again, how appropriate). It taught about not giving up. His other books have been "sight word" books, and he is actually doing really great picking up the sight words "the," "is," and "this." Wow! I was an early and devout reader so I was hoping he inherited some of that trait. He really hasn't been into coloring as much as I would have liked, but I have never been very artsy either until I got into scrapbooking. He will color for a few minutes and does try to stay in the lines now, but he usually moves on to other things pretty quickly. For his homework, he has started learning to write his name, picked out and drew circles around pictures that don't match, and drawn lines to pictures that match their shapes. He really has blown us away by how quickly he understands and follows directions. He draws circles and straight lines pretty well, but he needs some work on holding his crayon. Well, we won't sweat the small stuff for now! Mommy has never really figured that one out either. She has always held her pencil too tight so her handwriting stinks, but she just types everything now so who really cares! Plus, attorneys really aren't known for having great handwriting! Ha! 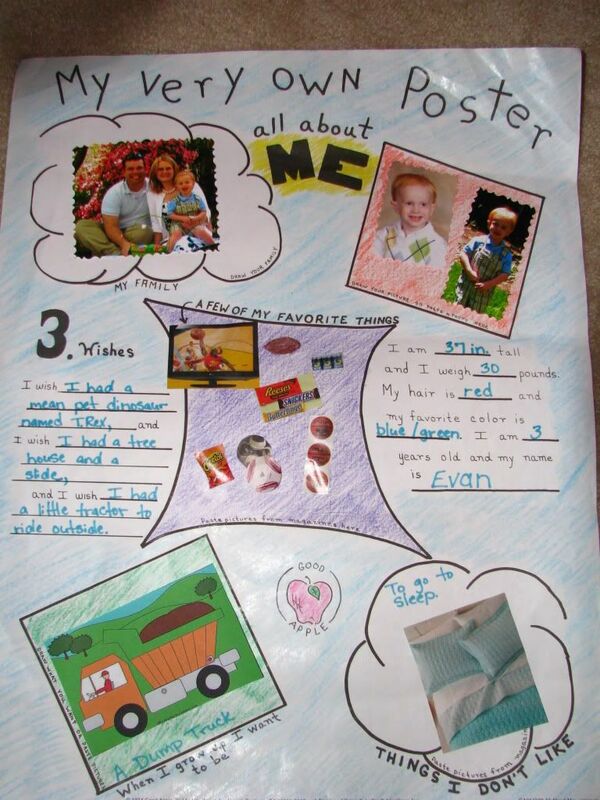 We also had a great time making his "About Me" poster to put on the wall at school. We enjoyed finding pictures of things Evan likes (Cheetos, football, soccer balls, basketballs, chocolate candy, etc.) and decorating his poster. We had a hard time thinking of something Evan didn't like (besides not getting his way), but it was almost bedtime so Daddy asked him if he wanted to get ready for bed, and he said he didn't want to go to bed. Well, there was the answer to our question! He doesn't like going to bed. 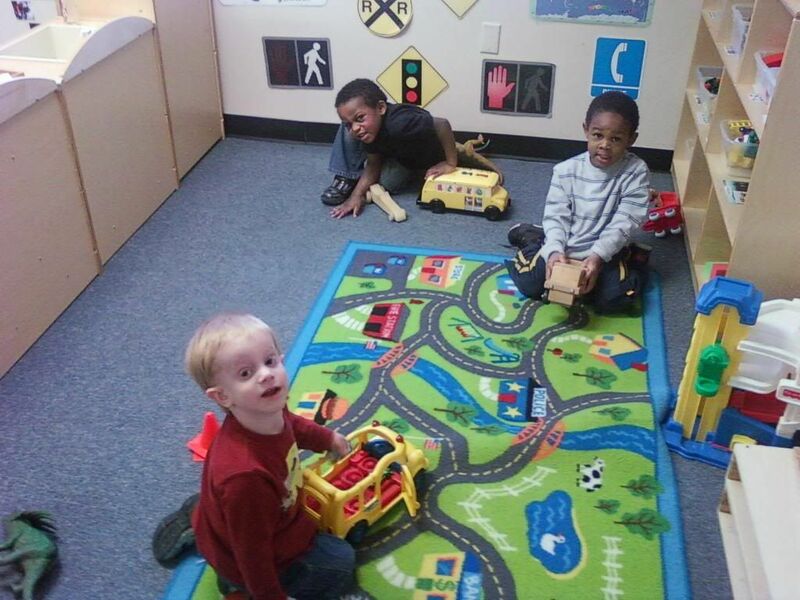 Mommy also had to find a picture of a dump truck since that is what Evan wants to be when he grows up! Ha! 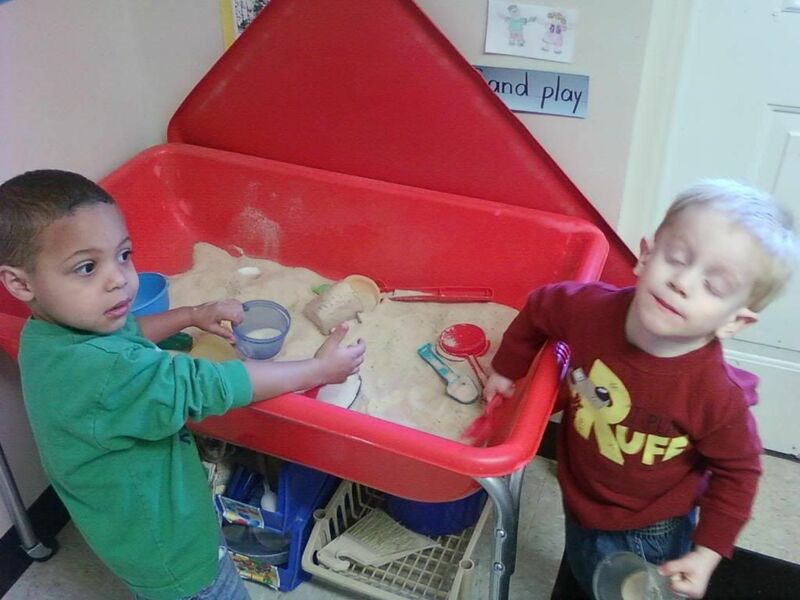 Evan is reconnecting with an old chum from his days in the 2 year old room! I don't know what Evan was doing in this picture, but he definitely looked silly! 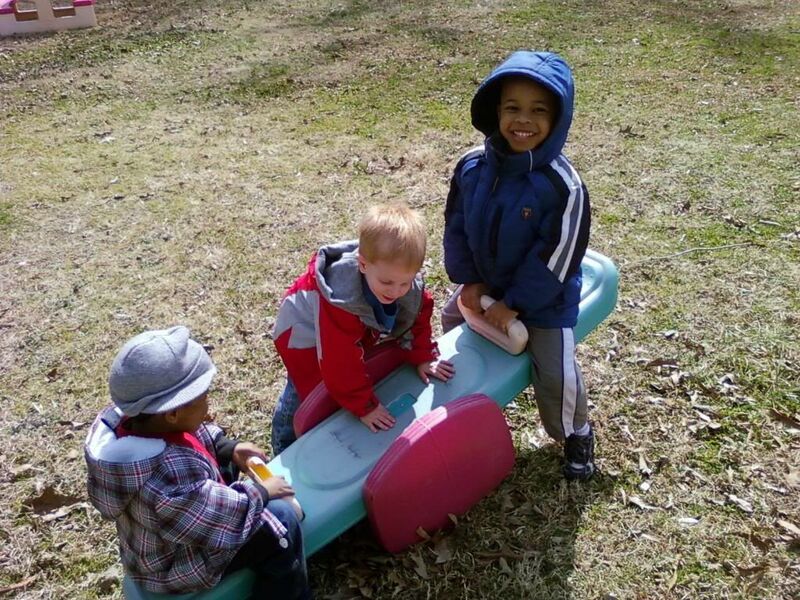 He loves to help his friends on the see-saw! 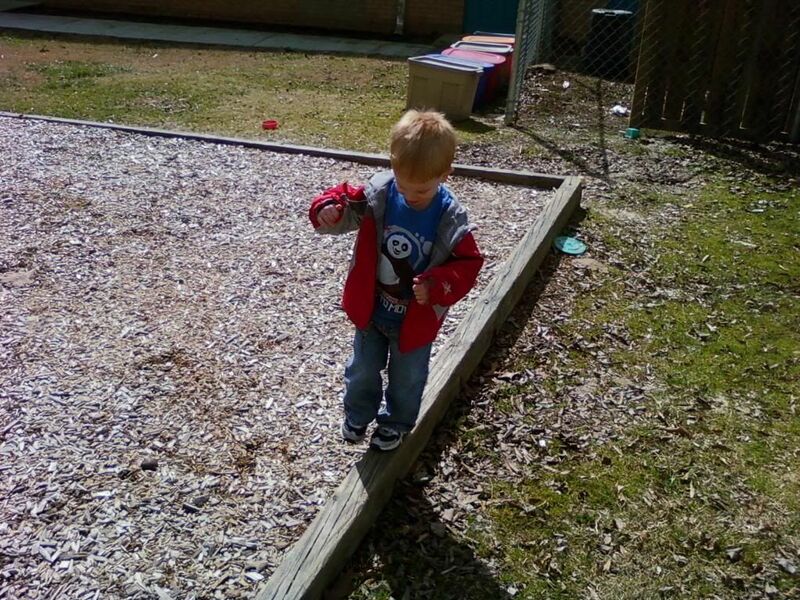 Great balance and coordination! Where did he get those traits? Evan and his favorite set of wheels - A SCHOOL BUS! He loves to see school buses everyday on his way to school. 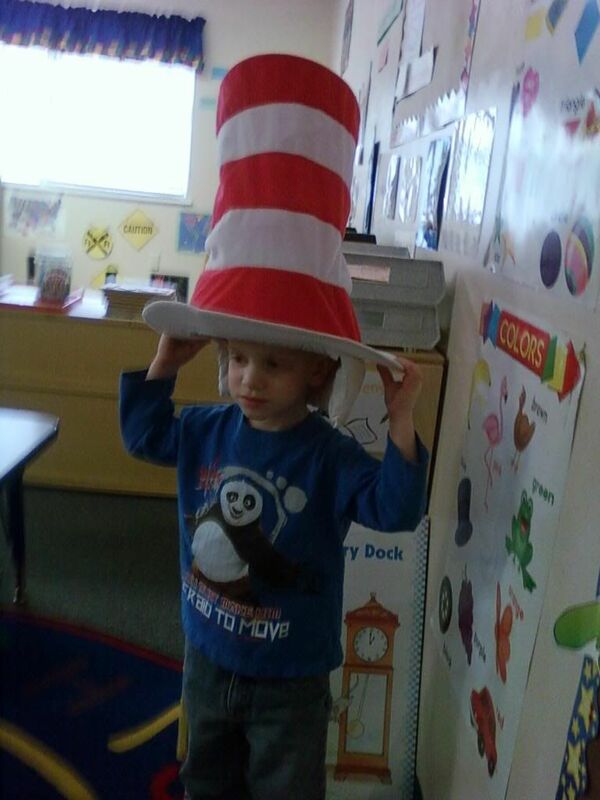 It's Dr. Seuss week at school!